As much as we all love summer, there's something about fall that is just so exciting! Especially when it comes to fashion. I love being able to wear light layers and riding boots on that perfectly crisp 60 degree day. My girl Becky is back on the blog today to share her thoughts on fall fashion! First, I would like to start out by saying, I love fall! I do. It is by far my favorite season and after the hot summer we've had I am so ready to welcome it with open arms. Some of my absolute favorite things to look forward to are the frequent trips to the cider mill, crock pot dinners, football Saturdays (GO GREEN!) and obviously, fall fashion. Here are some of my "must haves" for this fall! 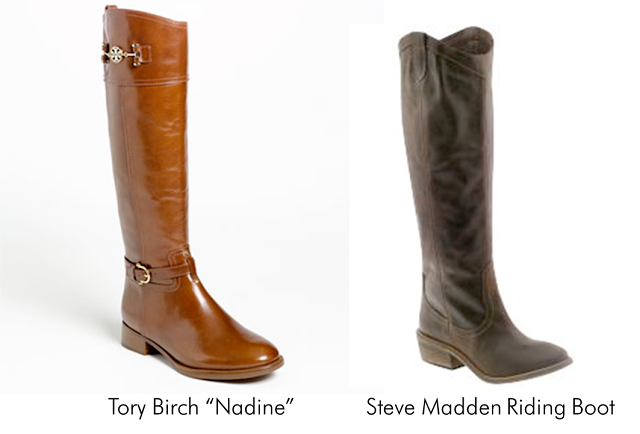 I am currently obsessing over the Tory Burch: Nadine Riding Boot. I know her shoes can be crazy expensive, but are these boots not gorgeous? Ok, but I will say I have been so looking forward to wearing my Steve Madden Riding Boots circa 2008 that I am still so obsessed with (The “Bachelorette”, Emily Maynard even wore these on her first go around at reality love during the Brad Womack 2.0 season! Cool, right? Ok, maybe not). 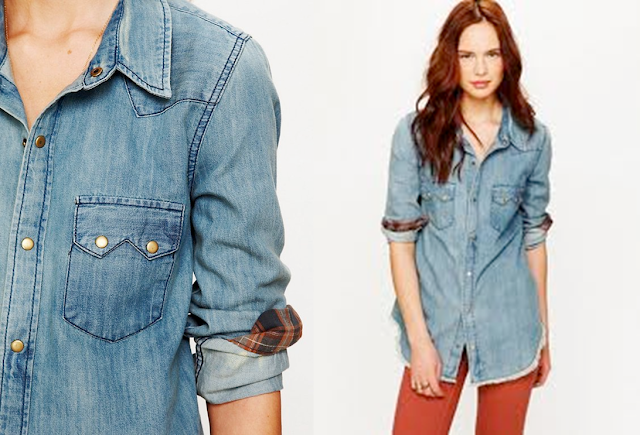 Denim is HUGE right now and I snagged this shirt by Free People early this spring and it will carry me though the next few months. It's the Free People True Grit Denim Shirt. 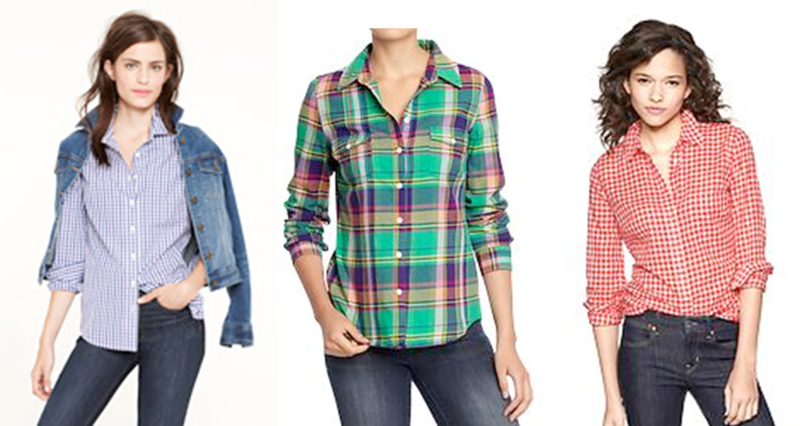 A classic plaid or gingham check shirt that goes perfect with leggings or jeans on a crisp fall day is also a necessity for me. You can find these anywhere, GAP, Old Navy, J. Crew, to name a few. Love! 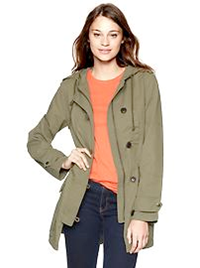 GAP's light weight cotton twill parka is the perfect transition coat before the we all brave the Michigan Winter. What's on your fall shopping list this year?